Engine controller device for Dodge Viper RT/10 & GTS V-10 engine. 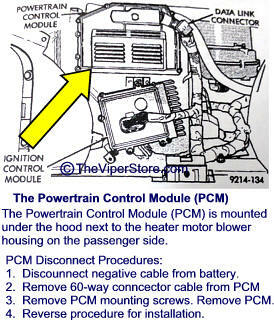 Dodge no longer makes PCM's or the Dodge Viper 1992-2002. We have access to new and rebuilt PCM's. Call us for the very latest prices and availability. Includes programming. 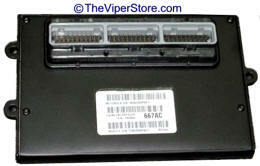 NOTE: Chrysler supplied PCM's are considered new whether they are remanufactured from Chrysler or new build. **PCM's come programmed or unprogrammed annotated in drop down menu. If your year PCM is not listed or does not have a price call us for price and availability at 352 688 8160 M-F.
You must include a note with your name, address, phone number and amount of deposit you are due. 1. Pack them very carefully in an oversized box with lots of padding. 3. Ship via UPS (NOT US Mail). Limited warranty information - Click Here. Note: We will call you with specific information we will need once you order. *PCM's have a $300.00 core charge. 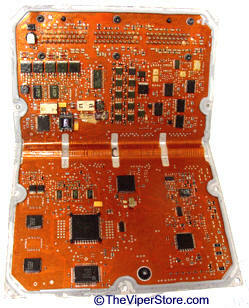 Once you send us your old viable PCM back to us and it is inspected you will be refunded up to $300.00. 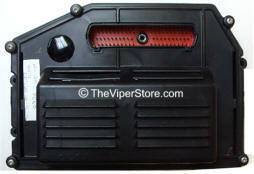 We are the Experts in Viper and RAM V-10 PCM repair service. 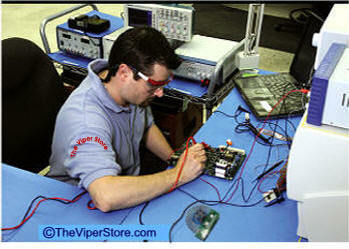 This service is for you to send us your Viper PCM and for us to inspect, test and analysis it. We will determine the repairs and give you the cost to repair it. 1. If you deem the repair cost to be too much you may purchase a new PCM from us. You may use your old PCM as a core and not pay a core charge (unless we receive your old PCM is complete destroyed). 2. Full repair service is available. We will provide you a full repair service based on the quote from our lab. Service includes diagnoses. Repair is additional based on estimate from lab. A typical repair cost is an additional $250.00 to $400.00. 3. You may elect to have no further work done and we will return your PCM to you. "We are specialists in Dodge Viper and RAM V10 PCM service and repair." $ 225.00 plus shipping. To Diagnosis the problem and estimate repair cost. NOTE: a typical repair cost is around an additional $250.00 - $400.00. We will not proceed with repair until you authorize it.